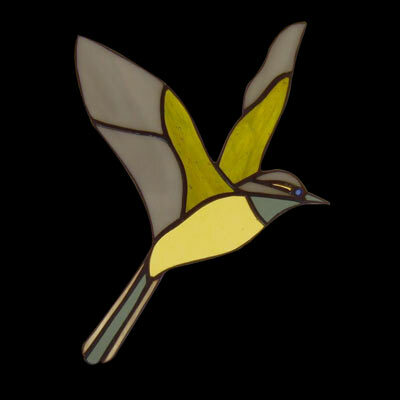 Kingfisher Glass have over 25 years experience designing and making stained glass artwork. Over the years we’ve built a large portfolio of work which can be seen around the country. 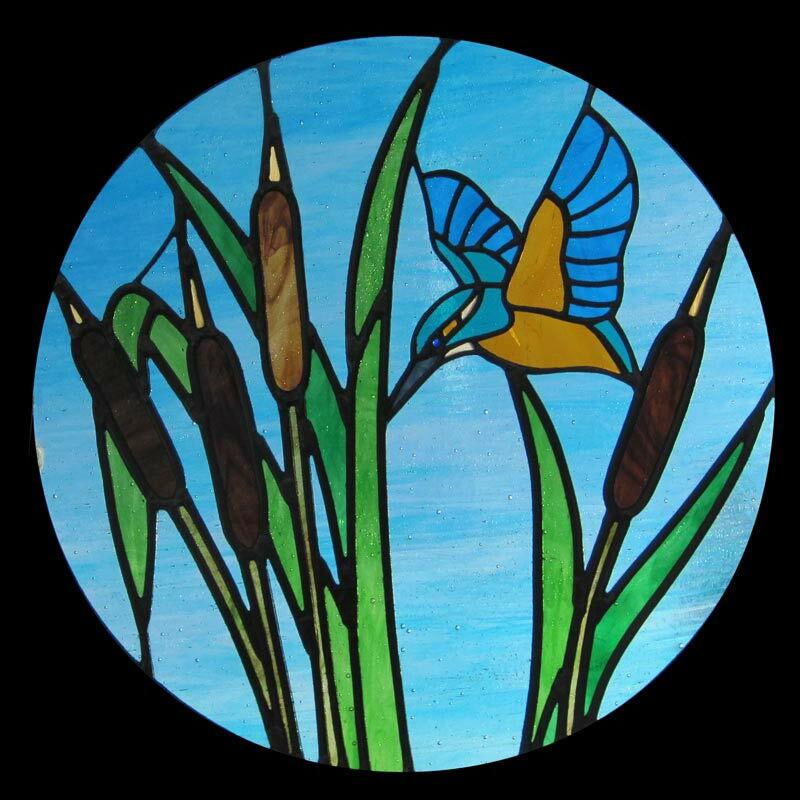 From our base in Ashford Kent, we produce a huge range of stained glass art. Stained Glass art has the ability to transform a space, whether it’s a room that needs brightening up, or a piece of outstanding architecture which requires an equally outstanding art installation to complement it, a piece of stained glass artwork will often provide the perfect ‘finishing’ touch. As well as producing one-off commissions for private individuals we also have a range of artwork you can buy for your home or as a gift for friends and family. We hope you enjoy looking around our website. If you have any queries or questions please don’t hesitate to give us a call or send us an email. 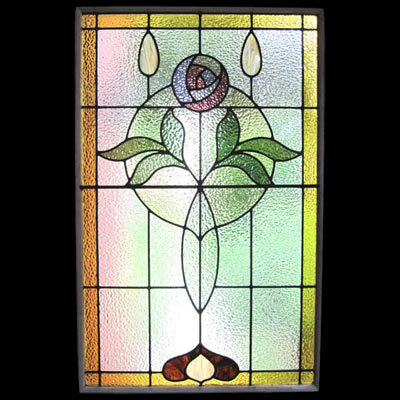 A piece of stained glass can bring both colour and beauty into a home or workplace, and because it changes constantly with the daylight it is a continual joy to look at. Stained glass windows and doors can create a wonderfully colourful, dramatic effect, brightening up a room on even the dullest of days. Over the years we have been commissioned to make a wide range of windows and doors. Copper foil glass mounted on top of a mirror makes the mirror reflect back the colour of the glass. 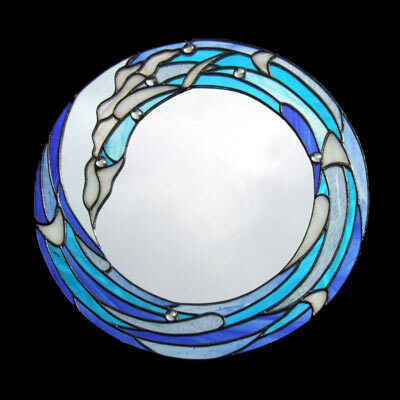 The mirrors are quite robust, are hung with chains and are fabric backed. All mirrors can be made to a specific size and be made to be horizontal, if required. 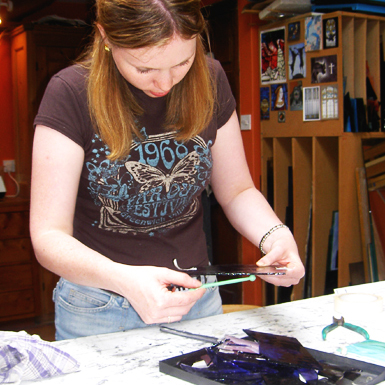 If you've ever wanted to learn how to make stained glass then why not consider taking one of our courses. The group courses are all held in our purpose built workshop, set in the heart of the Kent countryside. Birds and Lightcatchers are a great way to add a touch of light and colour to a window and make the perfect gift. 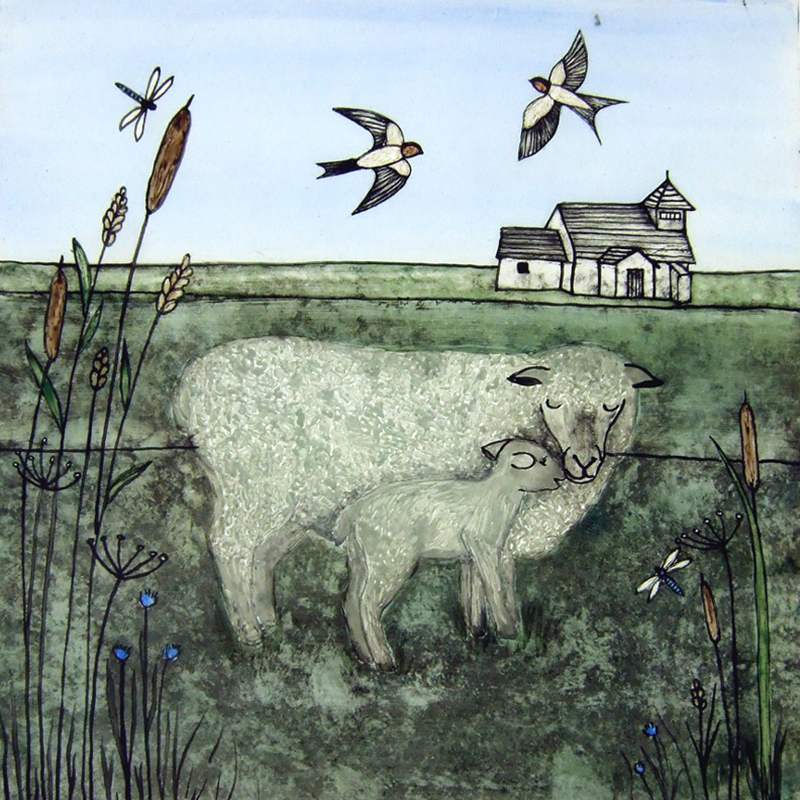 Brenda has wide choice of pre-designed pieces to choose from, alternatively she can make something just for you.